So much effort in our industry goes into new content: the launch, the debut, the first run. Yet, there is a complex, profitable second life for content after it serves its initial purpose. 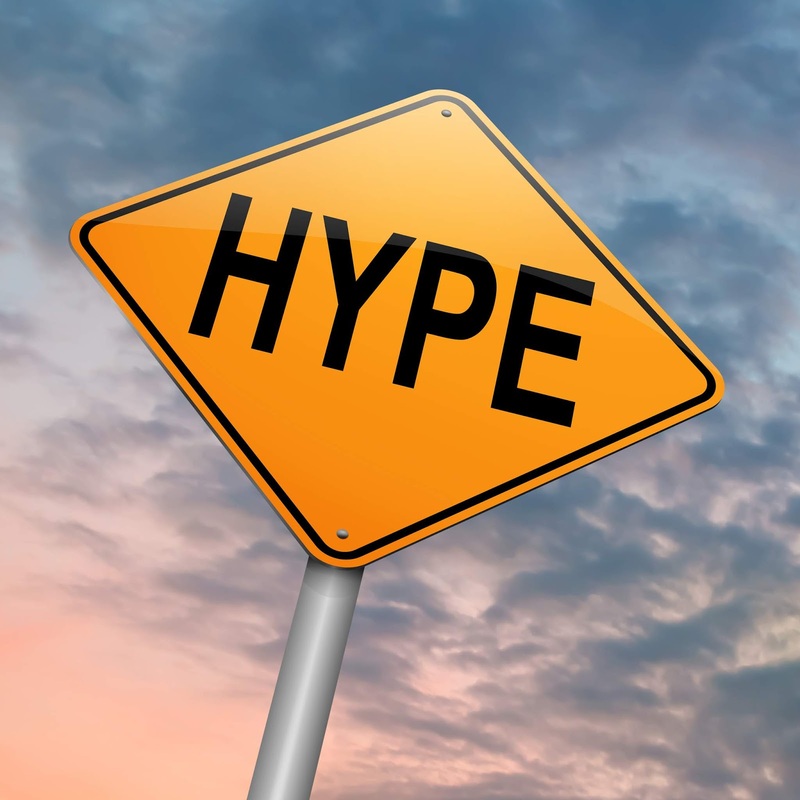 Often, it is up to publishers to become the guardians of that second act, spawning “children” from the original content that can flourish after primary sale. Content creators and publishers shape the primary “parent” work in a certain format, for a certain audience, so it can be challenging for them to accept that the world might reinterpret that work in ways they can’t control. The use of child content can be so unpredictable and so detached from the original work that publishers might find it impertinent, trivial, or undermining. Like a dysfunctional family, some publishers are stricter than others when it comes to sending child content out into the world for fresh creative or commercial endeavors. It’s a balancing act for publishers to protect the value with which they have been entrusted, without stifling the possibility of a productive future. The more inspiring the original work, the more likely that it will yield offspring that flourish beyond the scope of the primary sale. As surprising as the opportunities may appear, reinterpretation of child content can produce immense value to publishers who are open to the concept. Over the past several years, I have been exposed to companies seeking reuse of creative output of all kinds. Excerpts, charts, and graphs are common, but we also hear about requests for instructional videos, posters, and secondary text created to support website features. These requests are often very difficult to process. I sometimes see bias on the part of content creators and publishers for the primary work to be protected just as it is, cut off from the potential of a second life. Beyond that, the creators of the content can be hard to find, and the intended reuse is hard to describe. When not a lot of money is involved, it’s easy for the trail to go dead. Taking the widest view of the “permissions” landscape, which my job at Copyright Clearance Center allows me to do, I encourage creators - and custodians of creative works - to embrace the inspiration that others receive from an original work. The inspiration may seem “less than” because it has a different audience, format, or purpose, than the original, but that contribution could take the achievement to a new realm. I don’t mean that creators should abandon control, allowing every proposed reuse. I’m also not implying that creators should not be compensated for their contributions. Rather, creativity should be encouraged as the seed of further achievement. When creating child content will cause no harm to the parent content, why not embrace the experiment of that creative output? Consider the options carefully, but trust that the intrinsic value of the parent content will be amplified by the life of the child content. If the significance is not apparent to you, take that as testament to the power of independent thought. Jamie currently works as manager of publisher account management at Copyright Clearance Center, where she has worked since 2011, finding opportunities to license content and increase royalty revenue. Jamie’s publishing career began at Arcadia Publishing, a UK publisher with an office in Dover, New Hampshire. Hers was a start-up division; Jamie acquired titles, did production work and editing, and even sold books on the road from time to time. 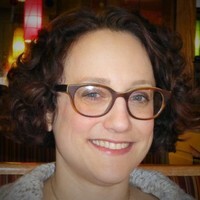 In the earliest days of the internet, she worked at a web-design company, then worked for six years as a manufacturing buyer at Heinemann in Portsmouth, New Hampshire. 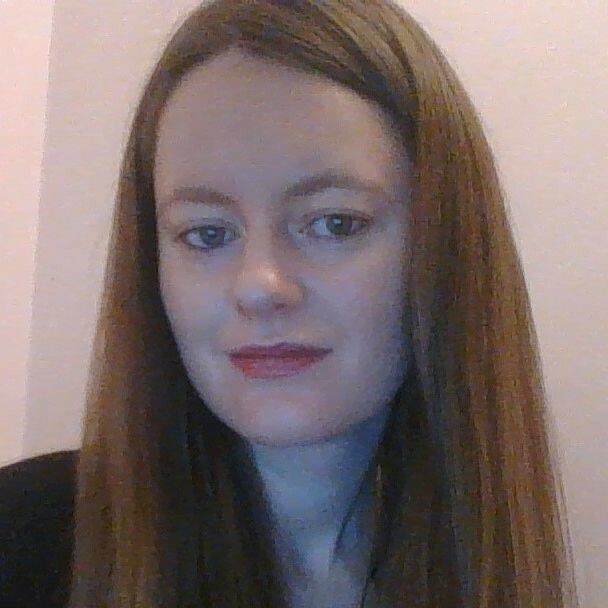 Jamie moved back online in 2007, when she became product manager at Publisher Alley, a subscription website for analysis of book sales. Publisher Alley was owned by Baker & Taylor at the time, and is now owned by EBSCO. In this position, she was the editor of Alley Talk, a free companion site for Publisher Alley featuring bestseller listings and industry white papers. Why is innovation a challenge for established publishers? Charles Thiede, CEO of tech startup Zapnito (and former CPO of Nature Publishing Group and CTO of Informa Business Intelligence), explores the theory of the innovator’s dilemma. And what publishers can learn from it. In a couple of weeks’ time, I’m going to be chairing an event with ALPSP entitled ‘Innovate or Perish? How to think like a startup’. It’s got me thinking on the challenges of innovation within large publishers - challenges I’ve seen from the inside, as well as out. I asked Zapnito advisor Mark Allin, former CEO of Wiley and a speaker at the event, for his view on how innovative publishing companies are at the moment. On a scale of 1-10, he gave them 3 or 4. That’s not ideal. So why is this the case? There’s no question that the publishing industry is full of talent and resources. Yet startups are often seen as having the edge when it comes to innovation. The ‘innovator’s dilemma’ - a term coined by Clayton Christensen in 1997, offers insight into why that is. The problem isn’t necessarily lack of innovation itself, or enthusiasm to try new ideas, but more the environment in which those new ideas are developed and nurtured. The value from new innovations isn’t realised immediately. It tends to follow an S-curve (see the yellow line on the graph). Improving a product takes time and many iterations, and quite often the early iterations provide minimal value. That can prove the sticking point for many businesses. Ultimately, the primary aim of most established companies is to keep and add additional value to their existing customer base and their current business models. This means new and innovative ideas can be undervalued, because they are applied and tested with existing customers or through existing models, rather than looking at new markets or models. It also means that if innovative ideas fail to deliver results quickly, they are seen as failing - the ROI is thought to be too low. In this case, often management acts ‘sensibly’, in what they view to be the company’s best fiduciary interests, and rejects continued investment in the innovation. This is why startups, usually with little or nothing to lose when they enter the market, are so much more successful. They find new markets to apply their innovations, largely by trial and error, at low margins. Their nimbleness and low cost structures allow them to operate sustainably where established companies could not. They don’t have the same responsibilities to, for example, shareholders or existing customers. At the same time, especially with ‘bootstrapped’ companies, startups must survive on their own two feet. This means that if the initial idea doesn’t work, they can adapt and even pivot their models. We did this at Zapnito early on. In contrast, for an established publisher, the initial idea is often fixed and changing direction means failure. By finding the right application use and market, startups advance rapidly and hit the steep part of the S-curve, eventually entering the more mature markets of the established companies and disrupting them. There is no one way to do innovation. But to me, the most vital change is a change in attitudes. Traditional publishers will need to think outside their traditional business models. Innovation does not need to be in context of existing ways of doing business. Too many media companies are organised around delivery models vs. solutions to a market. That leaves little room for innovation. There’s also a need to start playing the long game and looking for ways to manage development processes so that it’s okay to change direction, or even to fail. I also want to challenge the idea of innovation itself. Innovation does not mean invention. Most people think innovation and invention are synonymous. But Jeff Bezos did not invent ecommerce. Steve Jobs did not invent smartphones. The innovation happened in the execution of those ideas and how they were delivered to the market. There are lots of potential ways for publishers to nurture more innovation within their companies. This could be through mergers and acquisitions (M&A), partnering with disruptive businesses, creating an internal ‘skunkworks’-style structure, or even separating out new innovations into offshoot companies. These are all ideas I’m looking forward to exploring at the event. Hope to see you there. It is a truth universally acknowledged that journal articles need to be in JATS XML but they’re almost always authored in Microsoft Word. • Dedicated, validating XML editors. • Editors that emulate or alter MS Word. • Use Word as-is, converting styles to XML. • Editors that use Word as-is, with plug-ins. Here are the pros and cons of these four approaches. This is the “make the authors do it your way” method. The authors are authoring XML from the get-go. And not just any XML. Not even just any JATS (or whatever XML model). Exactly the specification of JATS that the publisher needs, conforming in every way to the publisher’s or journal’s style guide and technical requirements. This strategy works in controlled authoring situations like the people developing technical documentation. (They’re probably authoring DITA, not JATS.) They’re typically employees of the publisher, and the document structures are exactly the same every day those employees show up to work. 1. Authors hate it. They want Word. 2. They have already written the paper before submitting it to the journal. The horse is out of the barn! This always seems like a promising strategy, and it can work when it’s executed well in the right context. The idea is to either let authors use Word, but make it impossible for them to do things you don’t want them to do (like making a line of body text bold when it should be styled as a heading), either by disabling features in Word like local formatting or by creating a separate application that looks and acts a lot like Word. I have seen this work in some contexts, but for authoring, I’ve seen it fail more often. The reason is No. 1 above. Despite being a lot like Word, it’s not Word, and authors balk at that. These are often Web-based programs, and authors want to write on a plane or the subway. And there’s always No. 2: most journal articles are written before it’s known which journal is going to publish it. This strategy can work well, though, after authoring. Copyeditors and production staff can use a structured tool like this more successfully than authors can. We’re seeing these kinds of things proliferate in integrated editorial and production systems like Editoria, developed by the Coko Foundation for the University of California Press, and XEditPro, developed by a vendor, diacriTech. This is by far the most common way that Word manuscripts get turned into XML today. A well designed set of paragraph and character styles can be created to express virtually all of the structural components that need to be marked up in JATS for a journal article. This is done with a template, a .dotx file in Word, which, when opened, creates a .docx document with all of the required styles built in. And since modern Word files are XML under the hood, you can work with those files to get the JATS XML you need. The question is who does the styling, and how well it gets done. Publishers are sometimes eager to give these templates to their authors so they can either write or, post-authoring, style their manuscripts according to the publisher’s requirements. Good luck with that. The problem is that it’s too easy to do it wrong. Use the wrong style. Use local formatting (see above). Put in other things that need to be cleaned up, like extra spaces and carriage returns. Somebody downstream has to fix these things. Those people downstream tend to be trained professionals, and it’s usually best just to let them do the styling in the first place. This is how most JATS XML starts out these days: as professionally styled Word files. Many prepress vendors have trained staff take raw Word manuscripts and style them, often augmented by programmatic processing to reduce the manual work. These systems, which the vendors have usually developed in-house, also typically do a “pre-edit,” cleaning up the manuscript of many of those nasty inconsistencies programmatically to save the copyeditor work. This is also at the heart of what I would consider the best in class of such programs, Inera’s eXtyles. Typically, a person or people on the publisher’s staff are trained to properly style accepted manuscripts; eXtyles provides features that makes this easier to do than just using Word’s Styles menu. Then it goes to town, doing lots of processing of the resulting file based on under-the-hood XML. It’s primarily an editorial tool, not just a convert-to-XML tool. This is not necessarily the same as the previous category, but there’s an overlap: eXtyles is a plug-in for Word, and the resulting styled Word files can just be opened up in Word without the plug-in by a copyeditor or author. But that approach still depends on somebody having styled the manuscript, and subsequent folks not having messed up the styling. It also presents the copyeditor (and then usually the author, who reviews the copyedits) with a manuscript that doesn’t look like the one the author submitted in the first place. This tends to make authors suspicious—what else might have been changed?—and suspicious authors are more likely to futz. That’s why in those workflows it’s important to use Tracked Changes, though some authors realize that that can be turned on and off by the copyeditor so as not to track every little punctuation correction that’s non-negotiable anyway. An approach that I have just recently come to appreciate is what Ictect uses. This approach is not dependent on styles. As much as I’ve been an advocate of styles for years, this is actually a good thing. Styles are the result of human judgment and attention. When done by trained professionals, that’s pretty much okay. But on raw author manuscripts—not. Ictect uses Artificial Intelligence to derive the XML not from the appearance of the article, which is unreliable, but on the content. Stop and think about that a minute. Whereas authors are sloppy or incompetent in getting the formatting right, they are pretty darn obsessive about getting the content right. That’s their paper. Speaking of which, in addition to not changing the formatting the author submitted, Ictect doesn’t change the content either. The JATS XML is now embedded in that Word file, but you only see that if you’re using the Ictect software. After processing by Ictect, the document is always a Word document and it is always a JATS document. To an author or a copyeditor it just looks like the original Word file. This inspires trust. I was initially skeptical about this. But it actually works. Given a publisher’s style requirements and a sufficiently representative set of raw author manuscripts, Ictect can be set up to do a shockingly accurate job of generating JATS from raw author manuscripts. In seconds. Nobody plowing through the manuscripts to style them. There have been tests done by large STM publishers that have demonstrated that Ictect typically produces fully correct, richly tagged JATS for over half of the raw Word manuscript files submitted by authors, and over 90% of manuscripts can be perfected in less than ten minutes by non-technical staff like production editors. The Ictect software highlights the issues and makes it easy for publishing staff to see what the problem is in the Word file and fix it. That’s because the errors aren’t styling errors, they’re content errors. They have to be fixed no matter what. In case you think this is simplistic or dumbed-down JATS XML, nope. I’m talking about fully expressed, granular JATS, with its metadata header and all the body markup and even granularly tagged references that enable Crossref and PubMed processing. Not just good-enough JATS. Microsoft Office 365 is not exactly a new kid on the block now, but journal publishers have not made much use of it. As things evolve naturally, more and more authors are going to use Office 365 for peer review, quick editing, corrections and even for full article writing. Since Ictect software creates a richly tagged Word document that can be edited using Office 365, it opens up some interesting workflow automation and collaboration possibilities, especially for large scale publishing. And if you need consistently styled Word files, no problem. Because you’ve got that rich JATS markup, a styled file can be generated automatically in seconds. For example, in a consistent format for copyediting (I would strongly recommend that), or a format that’s modeled after the final published article format. Authors also really like to see that at an early stage. It’s an unavoidable psychological truism that when an author sees an article in published form she notices things she hadn’t noticed in her manuscript. So you can do both: return the manuscript in its original form, and provide a PDF from the styled Word file to emulate the final layout. All of the methods I’ve discussed in this blog have a place in the ecosystem, in the right context. I haven’t mentioned a product that I wouldn’t recommend in the right situation. For example, you might initially view Ictect as a competitor of eXtyles and those home-grown programs the prepress vendors use. It’s not. It belongs upstream of them. It’s a way to get really well tagged JATS from raw author manuscripts to facilitate the use of editorial tools, without requiring manual styling. It’s the beginning of an Intelligent Content Workflow. It’s a very interesting development. In this blog, Alastair Horne, Press Futurist and social media correspondent at this year's ALPSP Conference reports on a packed few days in Windsor hearing from the scholarly publishing community. 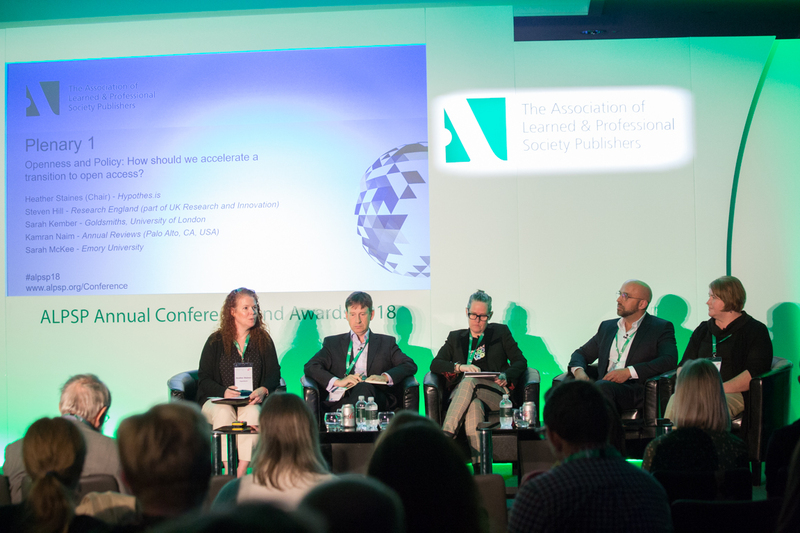 This year’s conference once again offered a range of perspectives from across the scholarly publishing ecosystem on the key issues that affect us. Thursday’s opening keynote was given by Professor Chris Jackson, who shared his own experiences as a researcher who has engaged deeply with the industry, publishing more than 150 articles, acting as editor for three journals, and co-founding the EarthArXiv preprint server. In a wide-ranging talk, Jackson offered some advice for publishers drawn from his experience: to be transparent about APC pricing; to offer strongly reduced APCs to early career researchers in order to build an affinity with new authors; and to be clear about their views on metrics. On open access, though generally enthusiastic, he suggested that Plan S had caused concerns among academics and might create challenges for societies who relied on income from subscription or hybrid journals to fund their other activities. Open access was, inevitably, a theme that persisted throughout the conference. The panel that followed Jackson’s talk asked how societies and publishers should ‘accelerate the transition’. Kamram Naim shared details of the ‘subscribe to open’ model used by non-profit publisher Annual Reviews, which addressed the twin problems of library policies on ‘donations’ often preventing the support of open access initiatives, and the fact that APCs don’t work for journals that publish invited contributions from scholars, rather than receiving submissions. Their ‘Subscribe to Open’ model, which bears some similarities to Knowledge Unlatched’s, sees libraries receive a discount on their journal subscriptions if they choose to participate in unlocking initiatives: if enough do so, then that volume’s issues of the journal become available through open access; if not, then only subscribing institutions have access. Naim’s fellow panellist Steven Hill, Director of Research at Research England, and architect of the new REF, insisted that the new requirement for open access monographs would not mandate any particular model. 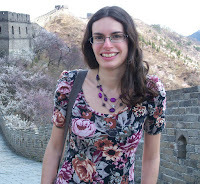 His position was strongly challenged, though, by the panel’s third speaker, Goldsmiths Press’ Sarah Kember, who asked why the transition to open access for monographs was happening at all, and called for a deceleration to allow time for more consideration of differences across the sector. Plan S, she suggested, totally disregarded the humanities and monographs, and posed a considerable threat to academic freedom by restricting where researchers could publish. The following day, a further session considered the impact of open access on library sales, strategies, and solutions, as library directors from Europe and the US shared some insights into their institutions’ recent cancellations of big deals. Wilhelm Widmark, Library Director of Stockholm University, suggested that the Swedish universities’ decision to reject what he described as a ‘good’ proposed deal with Elsevier was because it didn’t offer a sustainable route to full open access; the money saved is being redirected towards fully open access journals. 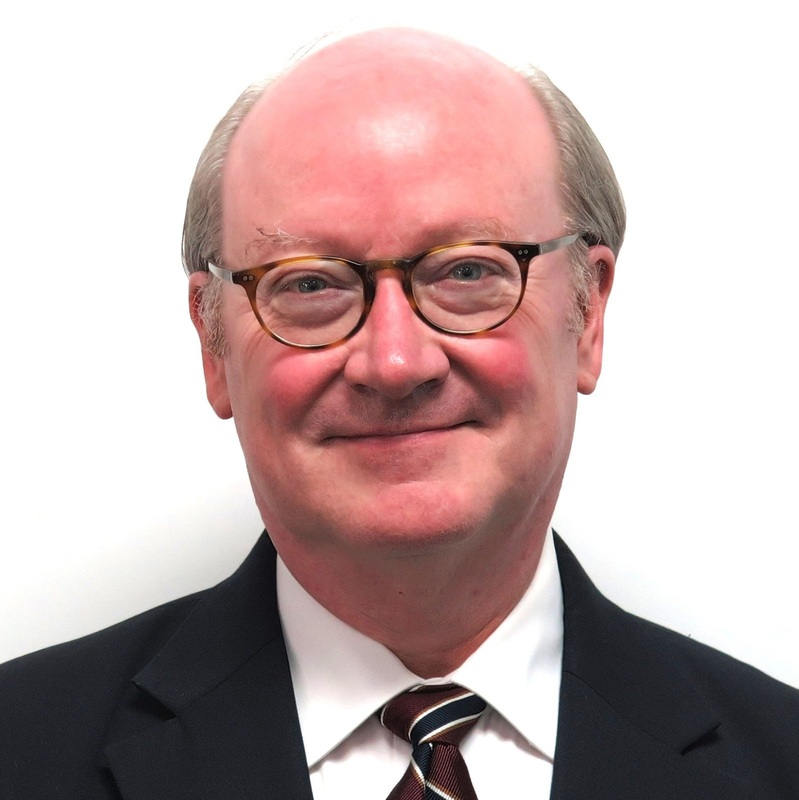 Jean François Lutz, Head of the Digital Library at the University of Lorraine, and Adrian Alexander, Dean of the Library at the University of Tulsa, added that their own institutions’ decision to cancel some of their big deal contracts were prompted by budget constraints and unsustainable pricing increases. Friday’s opening session considered another increasingly hot topic: customer data. Chris Leonard from Emerald shared insights from their work in mapping user journeys in accessing their content, and one key finding – that though a high proportion of people who visit their site discover it through Google, the majority of those people don’t have institutional access and so leave; people who come to the site via library discovery services are far more likely to continue their journey further. Lettie Conrad of Maverick Consulting spoke of the wealth of data available to publishers, both internal – customer service records, sales reports, customer data, market research findings, product testing and user studies – and external – competitor analysis, discovery journeys, and usage analytics. Transforming such data into usable information required strategic thinking and some investment, she suggested, but it wasn’t rocket science. The third panel member, David Hutcheson, told how BMJ had developed a strategy for using data to inform their decisions, drive user engagement and deepen user understanding. Working with consultants and stakeholders to create an overall plan, they started by deepening their understanding of their existing technology and resources and testing them to see what worked. Integrating their different platforms to connect their data, and developing partnerships with suppliers, the BMJ set up a small six-person data team to serve as a specialist centre of excellence, supporting the rest of the business, automating processes and delivering self-service reporting to enable and empower colleagues to make use of the data produced. The parallel sessions offered the usual dilemma of which to attend, and though there’s too little space to describe them all here, a personal highlight was a fascinating panel on the digital humanities. Peter Berkery of the Association of University Presses, Paul Spence of King’s College London, and Etienne Posthumus of Brill all discussed recent experiments in finding modes of publishing that would support the complex needs of this growing sector. Spence spoke of the need to fix a common terminology for the different types of publications produced, while Berkery talked through four marquee digital projects by university presses: Rotunda at Virginia, Manifold at Minnesota, Fulcrum at Michigan, and .supDigital at Stanford; Posthumus spoke on Brill’s own initiatives in labs and data. Revenues from rights formed the focus of the day’s final session, sponsored by Publishers’ Licensing Services: Rebecca Cook of Wiley emphasised the need for thorough documentation governing what can be done with content, while Clare Hodder urged publishers to invest in metadata. Then, at the evening’s gala dinner, the winners of two prestigious ALPSP Awards were announced: Richard Fisher was honoured for his Contribution to Scholarly Publishing over a long career, both at Cambridge University Press and in his retirement, busier than many people’s main careers; then the cloud-based computational reproducibility platform Code Ocean was named the winner of the ALPSP Award for Innovation in Publishing. The final day of the conference was dominated by ethical questions. Professor Graham Crow of the University of Edinburgh explored issues in research and publishing ethics, before the closing panel session addressed ‘The #MeToo Era in Academic Publishing: Tackling harassment and the roots of gender bias’. 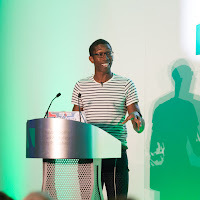 Femi Otitoju of the Challenge Consultancy shared some lessons drawn from thirty years of experience working in this area, emphasising the need to create the right working culture by focusing on positive outcomes rather than problems – having a ‘dignity at work’ policy rather than one on harassment, for instance – and prominently highlighting such policies through posters rather than pages buried on the company intranet. Karen Phillips of SAGE spoke of the need for publishers to learn from each other, while Eric Merkel-Sobotta of De Gruyter emphasised the importance of economic arguments in convincing management of the need to address such problems. Dr Afroditi Pina shared the results of her research into sexual harassment and successful strategies for addressing it: the need to agree appropriate sanctions for unacceptable behaviour, the role that public apologies can play in such sanctions, and the importance of listening un-defensively to those reporting harassment. 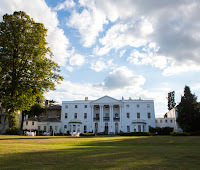 The ALPSP Conference and Awards 2019 will be held at Beaumont Estate, Old Windsor, UK on 11-13 September. Please save the date! 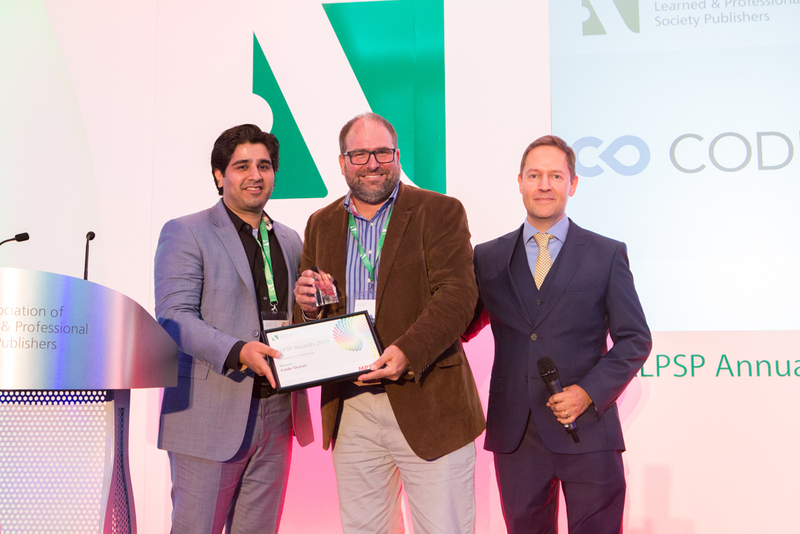 On 13 September we will be announcing the winner of the 2018 ALPSP Awards for Innovation in Publishing, sponsored by MPS Limited, at the annual ALPSP Conference. In this series of posts leading up to the Awards ceremony we meet our six finalists and get to know a bit more about them. In this blog, we speak to Nisha Doshi, Senior Digital Development Publisher at Cambridge University Press, Heather Staines, Director of Partnerships at Hypothesis and Sebastian Karcher, Associate Director of the Qualitative Data Repository. One of the things that makes Annotation for Transparent Inquiry unique is that it isn’t the product of one company but the result of a collaboration between three non-profit, mission-driven organizations: Cambridge University Press, Hypothesis and the Qualitative Data Repository (QDR). Cambridge University Press dates from 1534 and is part of the University of Cambridge; our mission is to unlock people's potential with the best learning and research solutions and we published the first articles that make use of Annotation for Transparent Inquiry (ATI). Hypothesis is a non-profit open source technology company, and they provide the annotation tool that powers ATI. QDR is a domain repository dedicated to curating, preserving and publishing the data underlying qualitative and multi-method research in the health and social sciences. What is the project/product that you submitted for the Awards? We submitted Annotation for Transparent Inquiry (ATI), which creates a digital overlay on top of content on publisher web pages and connects specific passages of text to author-generated annotations. The ATI annotations include ‘analytic notes’ discussing data generation and analysis, excerpts from data sources, and links to those sources stored in trusted digital repositories. These data sources can be interview transcripts, audio clips, scanned telegrams, maps and so forth – all sorts of different types of material which wouldn’t usually be accessible to the reader. Readers are able to view annotations immediately alongside the main text, removing the need to jump to footnotes or separate appendices. A passage of the article is highlighted to indicate there’s an annotation, and the annotations are displayed as a collapsible right-hand panel alongside the content. Each annotation created by the author generates a unique persistent web address for the details and analysis shared with the reader. The passage in the publication is linked to the source material, which is archived by QDR – a trusted digital repository. Readers can also shift into an Activity Page where they can view, search, and filter all of the annotations created on the project. From this page, researchers can explore other portions of the content as well as connected resources. ATI has been a collaborative effort both within and between our three organisations. At Cambridge University Press, launch of ATI has involved colleagues in editorial, digital publishing, the Cambridge Core platform team and marketing, to name but a few. At Hypothesis, with our dedication to supporting researcher workflow through open annotation, input and technical expertise has come from partnerships, marketing, and product development. And at QDR, transparency in qualitative research is central to our mission and ATI involves the whole team. QDR is run by active researchers, who conceptualized ATI based on ongoing debates in qualitative methods. 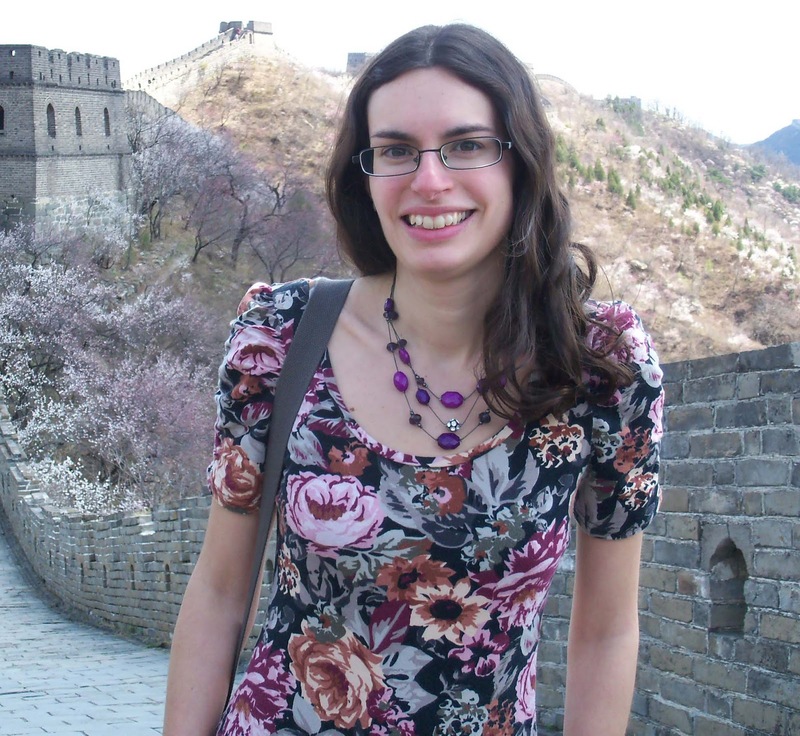 The repository’s curators provide advice and support to researchers interested in using QDR. Recent years have seen significant advances in transparency and reproducibility for quantitative analyses, but progress has much slower for the qualitative analyses central to so much research. ATI brings transparency to qualitative research. ATI allows readers to interrogate qualitative sources in a way that has not hitherto been possible without, for example, travelling to archives or museums to access the original material themselves. It also allows readers to understand authors’ analytic processes in depth, verify their evidence and thus properly evaluate their findings. By utilizing an annotation layer, authors are no longer constrained by word limits and thus can elaborate on aspects of the project which are important to them, providing rich media and additional links as needed. We originally launched ATI in April 2018 with eight articles published by Cambridge University Press, followed by a 9th article published in May. We are now working to integrate ATI with books published by Cambridge, as well as material from other publishers and preprint servers. 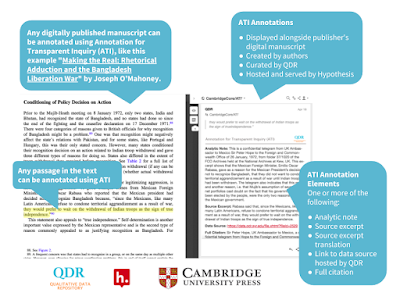 Although ATI was launched by Cambridge University Press, Hypothesis and QDR, it makes use of open standards and open source technology and the aspiration is that it can go on to be used by different publishers, different annotation tools and/or different data repositories. For example, a further eight articles with annotations on five other publishing platforms are pending publication. The founding partners of ATI are also exploring how best to embed ATI upstream in the research and authoring process. 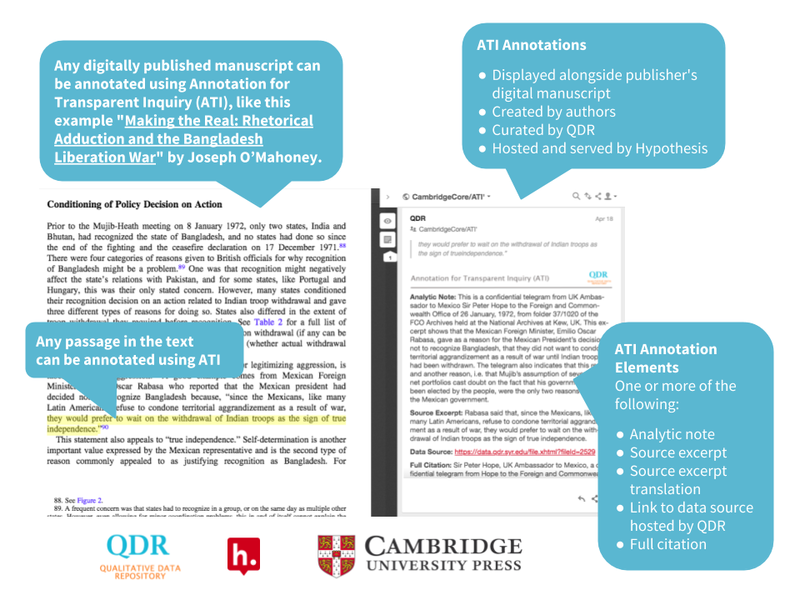 Lastly (for now), to further promote ATI and explore how authors will conduct research and write with these annotations in mind, QDR launched the “ATI Challenge”. The winners receive an honorarium to help them finalize their manuscript with ATI annotations and, from our point of view, working with those authors in a variety of disciplines and understanding how they want to use ATI will help us further improve workflows, instructions and technology. QDR received more than 80 applications across disciplines in the humanities, social sciences and STM and from across five continents and announced the winning proposals in early August. We believe that the wealth and quality of applications to the ATI challenge shows that Annotation for Transparent Inquiry really does serve a need recognized by qualitative researchers worldwide. Nisha Doshi is Senior Digital Development Publisher at Cambridge University Press, where she leads the digital publishing team across academic books and journals. 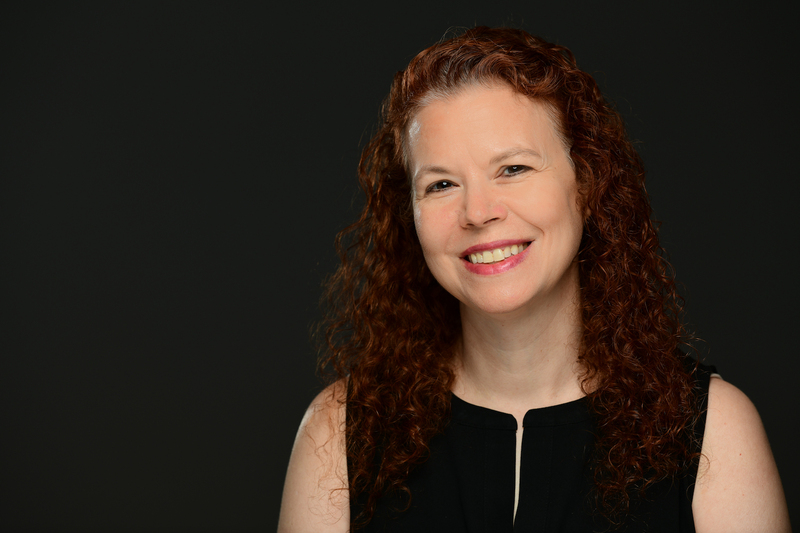 Heather Staines is Director of Partnerships at Hypothesis, working with publishers, platforms and technology companies to integrate annotation into their workflow. 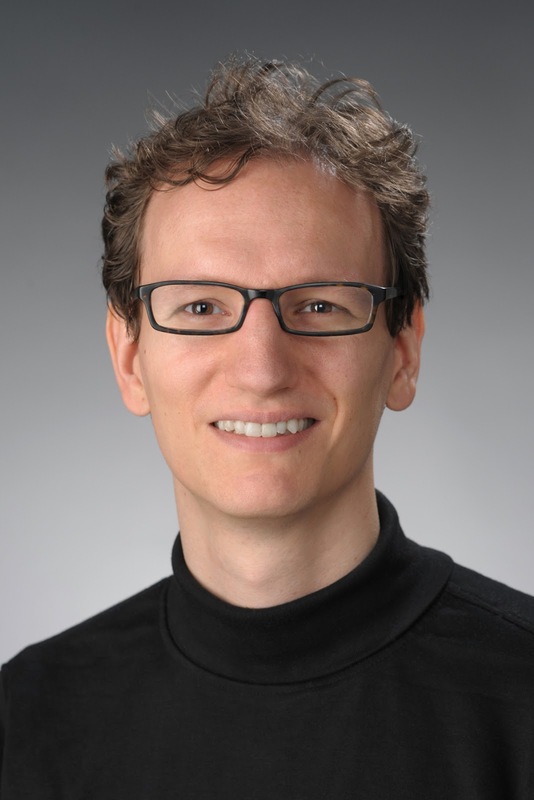 Sebastian Karcher is the Associate Director of the Qualitative Data Repository, where his work focuses on data curation and technological strategy.